Andhra Pradesh chief minister N Chandrababu Naidu’s controversial statements on Thursday are being viewed as an open warning to voters by the media. "If you don’t like my administration, do not take pensions doled out by my government, nor walk on the roads laid by my government," he told a group of people who had come to meet him at Nandyal. 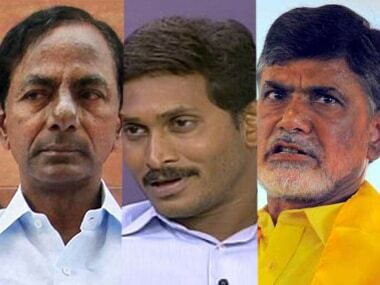 According to media reports, The Telugu Desam Party (TDP) leader has asked his party members to demand votes from the people as the government has done a lot for them. Naidu — popularly known as Cyber Babu for ushering the IT revolution in Andhra Pradesh — was making a point against electoral corruption in which large amounts of ill-gotten cash are doled out to buy votes during elections. 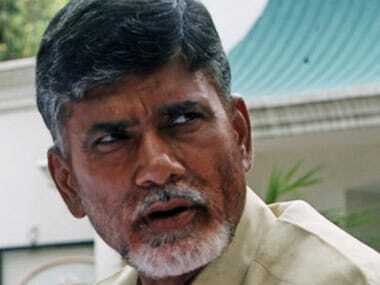 Naidu has asked his party members to seek votes only on the basis of development. Furthermore, he has said too could offer Rs 5,000 for a vote but that was not his policy. He said he was committed to upholding honesty in politics unlike the Opposition parties who traded in votes. Deccan Chronicle reports that the chief minister was angry at some of his party leaders for failing to consolidate the TDP government's position in some villages in some villages in Nandyala Assembly constituency in Kurnool district where the YSR Congress is popular. 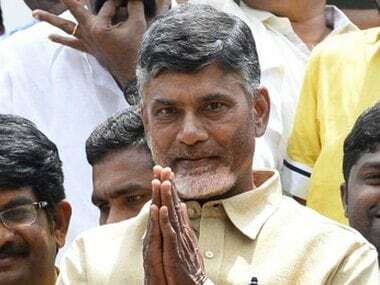 Naidu told them on Thursday to ask the people why they won’t support or vote for TDP when they were enjoying all the benefits extended by his government. Naidu also pointed out his initiatives to waive crop loans up to Rs 1.5 lakh for farmers; enhance pensions for the elderly, the disabled and weaker sections from Rs 200 to Rs 1,000 a month; and several welfare and development programs. He then expressed his dissatisfaction as to why voters still crave money distributed by corrupt political leaders and vote for their parties. According to Hindustan Times, Naidu asked his party leaders to ask the people of Nandyal why they were dissatisfied despite getting so many benefits from the government. "I will not hesitate to ignore such villages that don’t vote for us," Naidu said. "You want to enjoy pensions given by me and travel on the roads built by my government. But you don’t want to vote for me. How is it justified?” he was quoted as asking by Hindustan Times. The bypoll is due in Nandyala Assembly after sitting MLA Bhuma Nagireddy passed away on 12 March. Nagireddy won the seat on a YSRCP ticket in 2014, but defected to the TDP along with his daughter B Akhila Priya, who had been recently made a minister in the TDP government. Facing stiff competition from YSRCP, Naidu is making all efforts to win the seat and is pulling up party leaders for not being able to make dent in the YSRCP’s bastion.